X-Men: Days of Future Past ~ I'm an Avengers guy. I have been aware of the X-Men for decades, but very rarely have I sampled those titles. The only time I did regularly read and collect X-Men comics was the original Chris Claremont/John Byrne era (yeah, I'm that old). The best and greatest story of that run, just behind the Dark Phoenix saga, would be the two-part "Days of Future Past" story in X-Men #141-142. Oh sure, I realize that the storyline has been revisited time and time again, many slipped past my notice, but I think the first was the best. 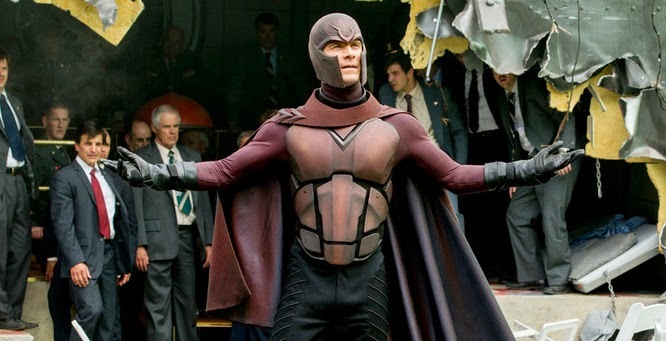 That said, I was really looking forward to the film version of X-Men: Days of Future Past. Warning - spoilers ahead. If you have not seen the movie yet, it might be a good idea to wait until you have before reading further. You've been warned. I can't go any further without mentioning how groundbreaking this movie actually is. There were three official X-Men films, and two Wolverine spin-off films, and then there's X-Men First Class, a film that I loved, and one that effectively rebooted the franchise. 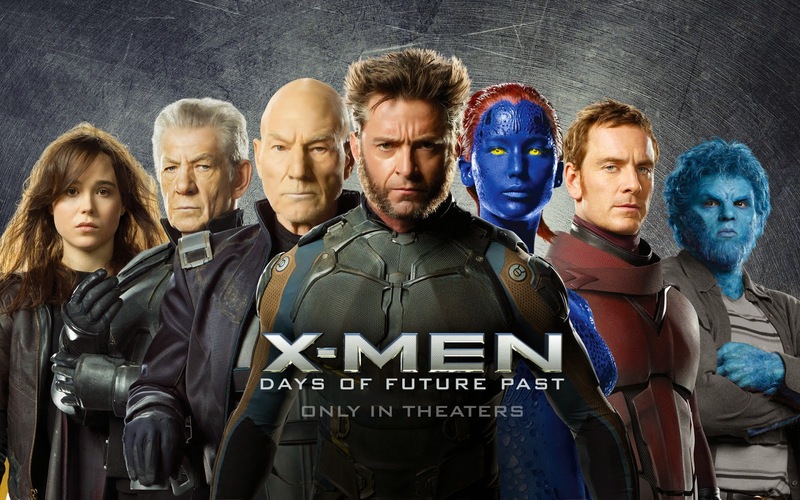 The film took place in the early sixties, and other than some of the characters, it was recast younger, and showed the beginnings of the X-Men. 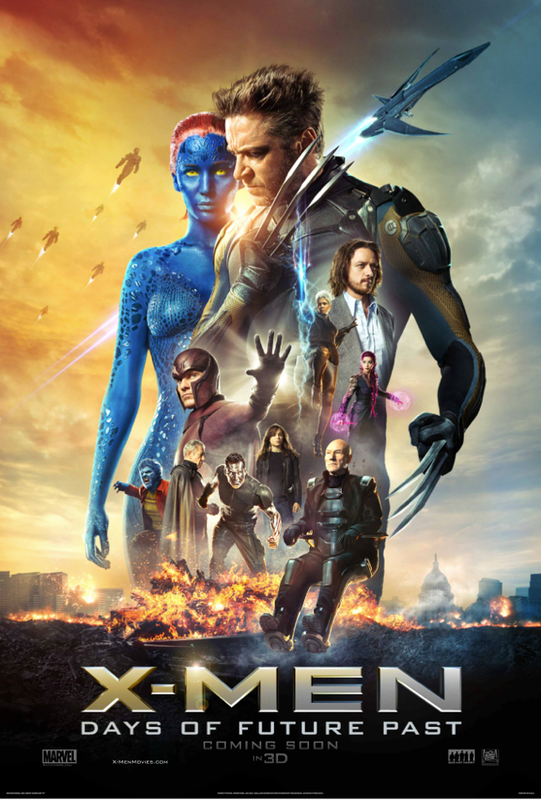 Had a sequel been made directly to this movie, I don't think anyone would have been disappointed if they completely ignored the other three X-Men flicks, or even the two Wolverines as well. They could have done it easy, but director Bryan Singer, returning to the franchise had other ideas. He chose to blend the continuities, and mold a story that would include both of the franchise's two casts, young and old. If it worked, it would be brilliance, and if it didn't, a confusing mess no one would want to see. The plan worked beautifully. This is just as a good a crossover film as Marvel's The Avengers was. Fact, comic book folks know how to do crossovers on film. The plot is the only part where it might become a bit convoluted, but as time travel movies go, this is child's play. The future is overrun by robots called Sentinels, programmed to hunt and destroy mutants, devastating the Earth as they do it. 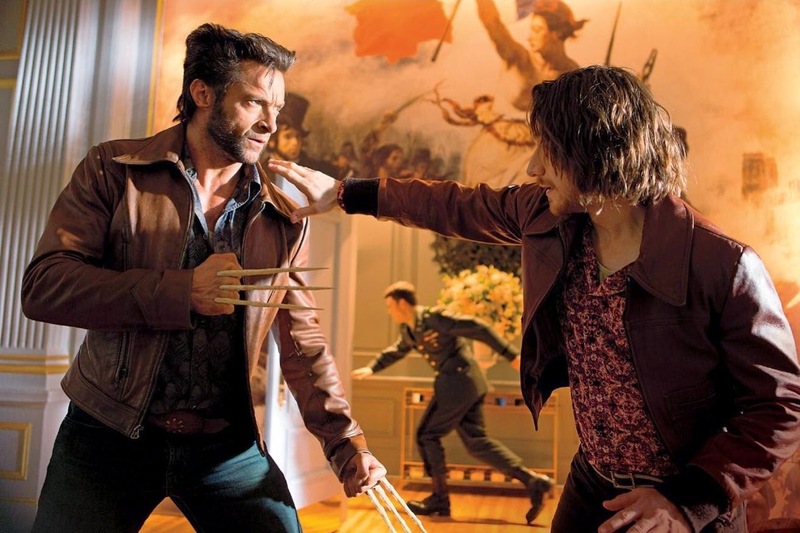 The remaining X-Men send Wolverine's future mind back to his 1973 body to try to convince Professor X and Magneto to work together to stop Mystique from assassinating a weapons dealer. His death is what starts the dominos falling toward the creation of the Sentinels. Changing time is not as easy as it sounds. Wolverine has to first straighten out a wasted Xavier, and then break magneto out of a concrete prison below the Pentagon. Not that easy at all. There are changes from the original comics of course. Wolverine goes back in time instead of Kitty Pryde. It's arms dealer Boliver Trask who's the target instead of Senator Robert Kelly because Kelly, played by Bruce Davison, had already been used early on in the movie series. 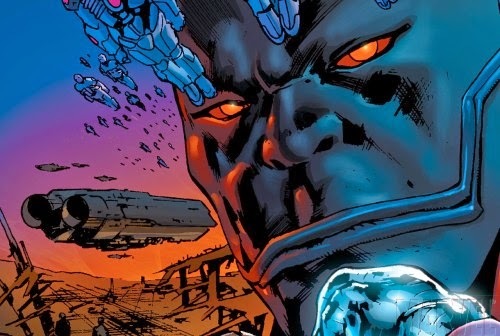 There's no Brotherhood of Evil Mutants in the movie, and the Sentinels are more like Super-Adaptoids programmed using Mystique's shape-changing DNA. The cast is superb. Professor X and Magento, past and present - Patrick Stewart and Sir Ian McKellan, James McAvoy and Michael Fassbender - are all superior actors and perfect in this film every moment they are on screen. Hugh Jackman just about is Wolverine at this point. Halle Berry insisted on much higher billing than she deserves, but at least she wasn't awful. Ellen Page as Kitty Pryde and Nicholas Hoult as the Beast are terrific, and I wish Anna Paquin's Rogue hadn't been cut from most of her shots in the flick. Shawn Ashmore's Iceman has as much screen time as Berry's Storm, but is much more charismatic and memorable. I wanted more Iceman, but was meh on Storm. Peter Dinklage of "Game of Thrones" is clearly wasted in the film as Bolivar Trask. He is seen but rarely heard. This is a sad waste of a terrific actor, who also has a fan base that would bring folks to the film. On the same note, seeing how Mystique was a major character in the story, I was hoping that Jennifer Lawrence would have been given more to do. She looks good, has amazing action sequences, but as an Oscar nominated and winning actress, it would have been nice to see her actually, you know, act. Now don't get me wrong, I liked them both, I just wish there was more of them, just like Rogue. The breakout performance of the flick however is Evan Peters as Quicksilver. For my money, he was the best part of the movie. This is teenaged Quicksilver, a smartass, but not the prime jerk he becomes as an adult in the Avengers. I was reminded much of the upcoming "Flash" TV series on the CW, because this is a character who enjoys his speed and using his powers, sooo refreshing. And again, much like Mystique and Trask, why not more Quicksilver? And more Quicksilver would have made perfect story sense. 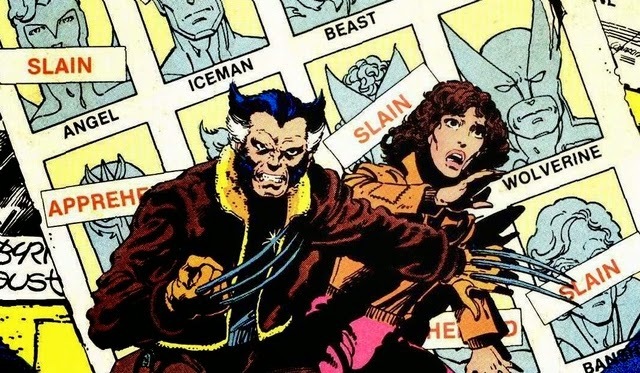 At a point when Professor X was powerless, the beast was reluctant, and Wolverine only had bone claws, wouldn't a super speedster be a much needed helping hand? It must be noted, but when the only complaints I have are wanting more of what we got, is it really a complaint? I did have another quibble - the Kennedy thing. I just thought it was too easy. Not the idea that Magneto killed JFK, the whole idea of the bullet that changes course is a great and clever inside joke, but it's the concept that Magneto was captured while protecting the President. Charles believes Erik much too easily when the villain says he was trying to save JFK because he was 'one of us.' Prof. X might well have already known that the President was a mutant via Cerebro, but this exchange changes the two's dynamic too easily, too quickly. Charles just drops his anger at Erik like rock. Too easy. X-Men: Days of Future Past is a dark film, and there are long stretches of that is-it-time-for-the-good-guys-to-win-yet, but it pulls together in the end. There's a pay-off that makes the long periods and the darkness well worth it. Like Bobby Ewing stepping out of a shower, the film does what all good time travel movies should do. It fixes what was broken as a bonus. When Logan returns from the past, Jean Grey and Cyclops are alive, and uncredited but still played by Famke Jansson and James Marsden. 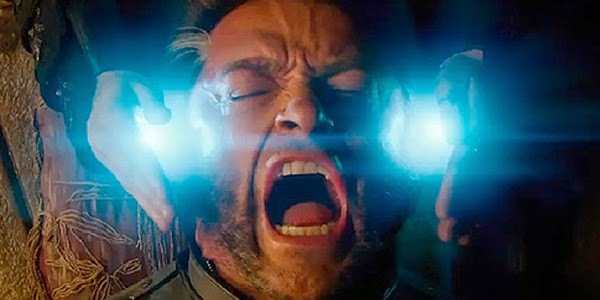 Bryan Singer fixed the crappy ending of X-Men: The Last Stand. Be ready, just like the Marvel films, this Fox X-Men flick has an after credits sequence, something The Bride and I have named an 'afterburner.' This one depicts the villain of the next X-Men film - Apocalypse, so wait through the credits, it's good, and will make you tingle with anticipation for the next chapter. I still think First Class is the best of the X-movies, but this one comes close, recommended. For more of The Bride's and my thoughts on X-Men: Days of Future Past, you can listen to this week's Make Mine Magic Podcast, with our special X-Men episode that you can hear right here. Arrow S02 E22: "Streets of Fire"
Arrow S02 E21: "City of Blood"